What are the performance times? Gates open at 4pm. The performance runs from 5pm until approximately 8pm, with a 20-30 minute interval. Please check our home page for performance dates. What is the admission charge? While admission is free, we do rely on donations. There are donation boxes located in the entrance complex should you wish to make a donation. We have a grassy open-air amphitheatre so a rug or a chair, plus a cardigan/jumper. Water is also advisable, however water is available for purchase. We also advise bringing an umbrella in the unlikely event that it rains. You may bring your own food. Please note that no dogs are allowed, except service dogs. We use animals in the play and the safety of these animals and cast members handling them or close to them during a performance is paramount. These animals are often very close to the audience and a dog in the audience could be the cause of injury to someone present during a performance. We have close to 3 500 people come to see the play. Over 2 000 of them attend our Good Friday performance. When that happens our auditorium is packed. We consider the safety and convenience of all members of the audience to be more important than any individual’s desire to have his or her dog present during the play. Part of the land we occupy is a reserve for fauna and flora where dogs are not allowed. So please DO NOT bring your dog along. Can I bring a hamper? Yes. Our catering facilities open at 4pm. Soup, hamburgers, sausages, soft-drinks, tea, coffee, slice and other assorted goodies are available for purchase for reasonable prices. Is there plenty of space? 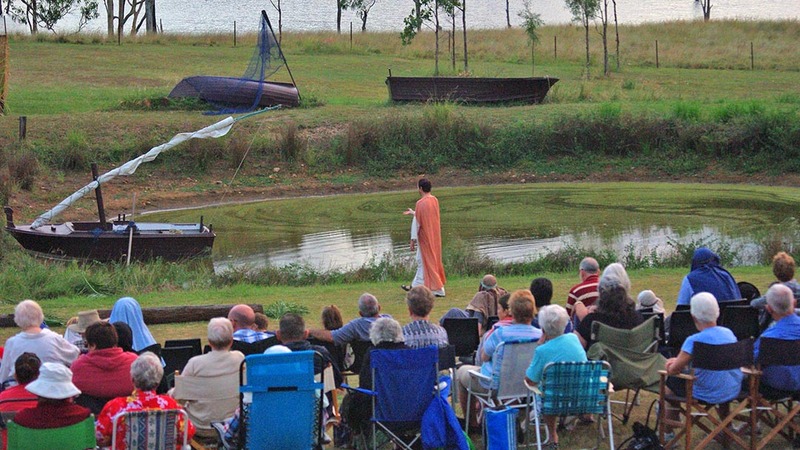 Our amphitheatre seats over 2,000, but as the Good Friday performance is very popular, we do encourage you to arrive early. Since 1993 we have not cancelled a performance through rain. Bear in mind that while Brisbane and even Boonah may be wet, it will in all likelihood be dry at Lake Moogerah. You can check the weather forecast for Moogerah at MetEye. If in doubt call Ray Siebuhr on 0497 616 815. From the Brisbane CBD it is 100 kms, or approximately 80 minutes. The shortest way is via the Cunningham Highway. See our contact page for directions. Can we camp or stay nearby? Camping is available at the Lake Moogerah Caravan Park, their number is (07) 5463 0141 or visit their website. 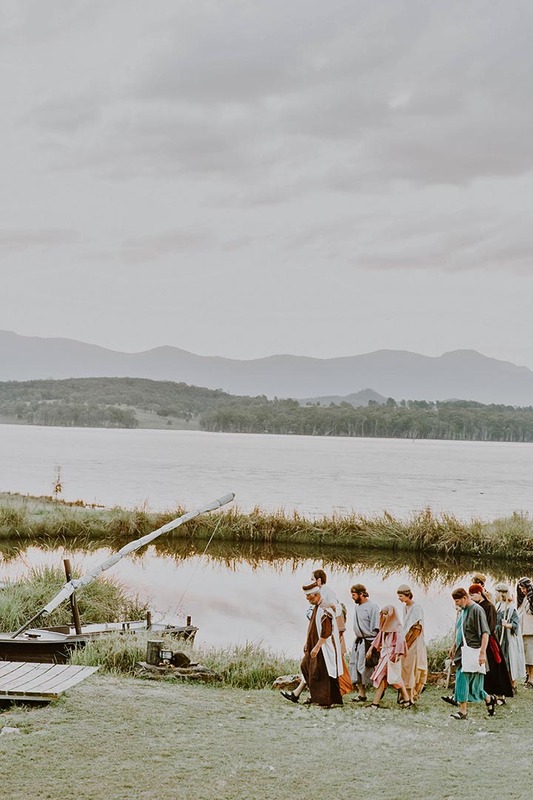 If you’d like to find a motel, the Boonah Tourism website has a list of all the accomodation available in the local area. Are you affiliated with any particular church? No. We are autonomous. 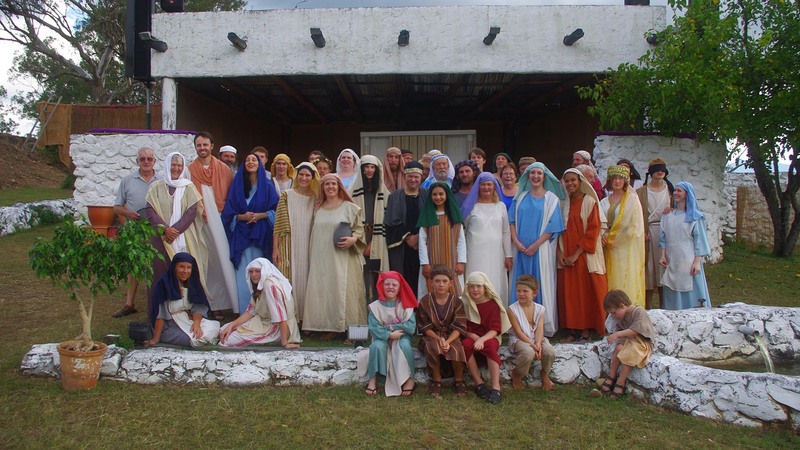 In fact we have had eleven different denominations in our cast. How do you pay for the production? We rely on donations, the food stall and commercial sponsorship. Please click here for more information on making a donation. Does the character playing the role of Jesus use words spoken that are not recorded in the Bible? In some cases, such as the dramatization of the story of Jairus’ daughter (Mark 5:37), the script includes some words not recorded in the Bible because the context requires it. A further instance is in the dramatization of the Passover meal commonly known as the Last Supper. Luke 22 tells us Jesus offered a blessing. The words of the blessing are known as they are still used by Jews celebrating the Passover today. The words of the blessing are thus included in the script. In all other respects, the words the actor speaks are from the Bible we use as the source text for the Play. May I become a member of the cast?